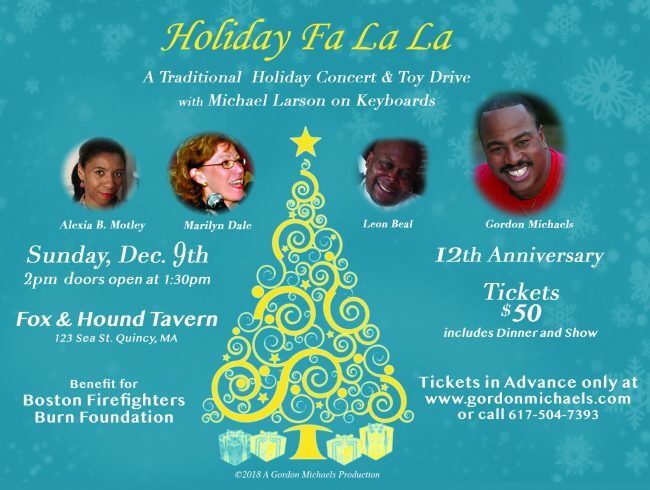 A traditional holiday concert & toy drive. Dinner and show: $50 per ticket. Kick off your holiday season with a spirit-filled concert featuring holiday selections that are traditional, contemporary, past and present. This concert will feature some of Boston’s best local artists. 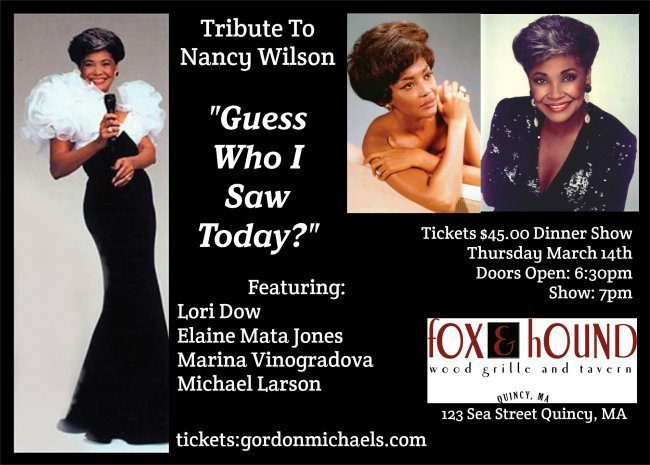 Featuring Alexia B. Motley, Marilyn Dale, myself Gordon Michaels and others TBA. Please don’t miss this once-a-year holiday concert where we give back to the community. 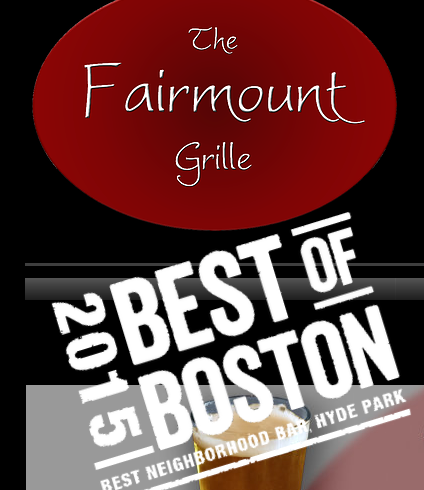 A great deal for Valentine’s Day. 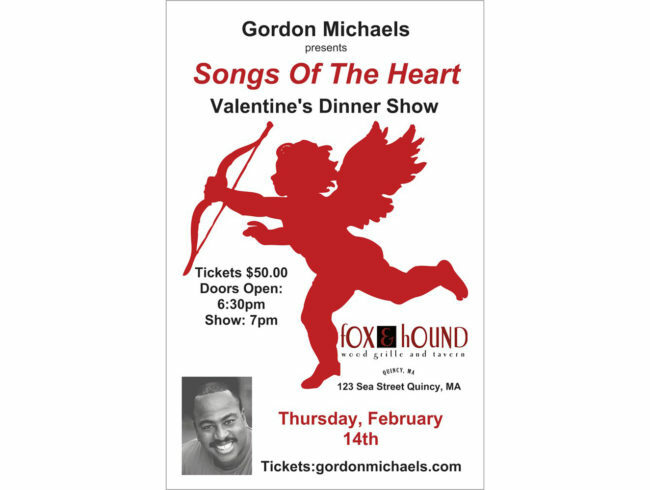 Bring your love ones to this 3 course dinner buffet and concert featuring one of Boston’s Best Male Vocalist Gordon Michaels. This show will be showcasing some of my most powerful songs from all genres and for all people. even for us in the Lonely Hearts Club. 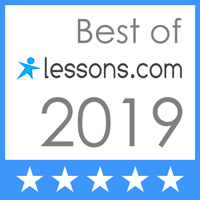 Music & Songs for ALL. One low price of $50.00 per person.